Wholesale banking is the practice of lending and borrowing between very large institutions. When you think of a bank, you likely think of your local teller with whom you can carry out checking, savings and credit needs. 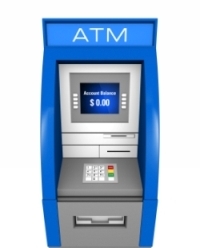 This type of bank is a retail bank; it offers small-scale, one-on-one services to individuals or businesses. For institutions with larger financial needs, wholesale banks offer these same services, often at a lower base price than that charged for retail transactions. For a large company carrying out a high number of financial transactions daily, often with large sums of money in each transaction, the cost and burdens of retail banks would not serve needs very well. For example, you may pay 10 percent of your balance to maintain your checking account at a retail level. A large company with $1M in a checking account will not want to spend this same amount. This same company may have $5M in money market accounts and $10M in mutual funds, all administered through the same bank. In exchange for placing such a large amount of money with the bank, the bank offers this company a large discount on its services. For example, the fee may be reduced to only 1 percent. The company saves, and the bank still makes a handsome profit. Imagine a regional grocery store with 15 branches, Bob's Groceries. Bob's needs a separate checking account for each of its 15 locations. Bob's also needs a corporate credit card to access this account for three managers at each location, totaling 45 cards. Bob's also likes to keep some money in reserve in a savings account totaling no less than $5M. Finally, Bob's needs to process credit cards, which means it will need a merchant account. Instead of walking into local Sue's Bank and opening a checking account like any person would, Bob's needs a corporate facility where it can house all of its financial accounts. Ideally, Bob's would like a discount for the large amount of business it hands this bank. Bob's decides to work with Sally's Wholesale Bank. Sally's offers much more competitive fees as long as Bob's maintains at least three accounts and holds more than $5M in the bank at all times. Bob's agrees, and Bob's and Sally's begin a wholesale banking relationship. The main drawback of wholesale banking is the risk it poses to all parties involved. Whenever a business has a large amount of cash all in one location, it relies wholly on the stability of that location to ensure the stability of its funds. If anything were to happen to the banking institution, such as a dip into insolvency, the organization holding funds there could stand to lose those funds in an instant. To insure against this, many large institutions insure their funds and further diversify where they hold their money. Wholesale banks, for their part, should attempt to ensure they remain solvent through good business practices. Check your 3 Credit Scores here for Free.